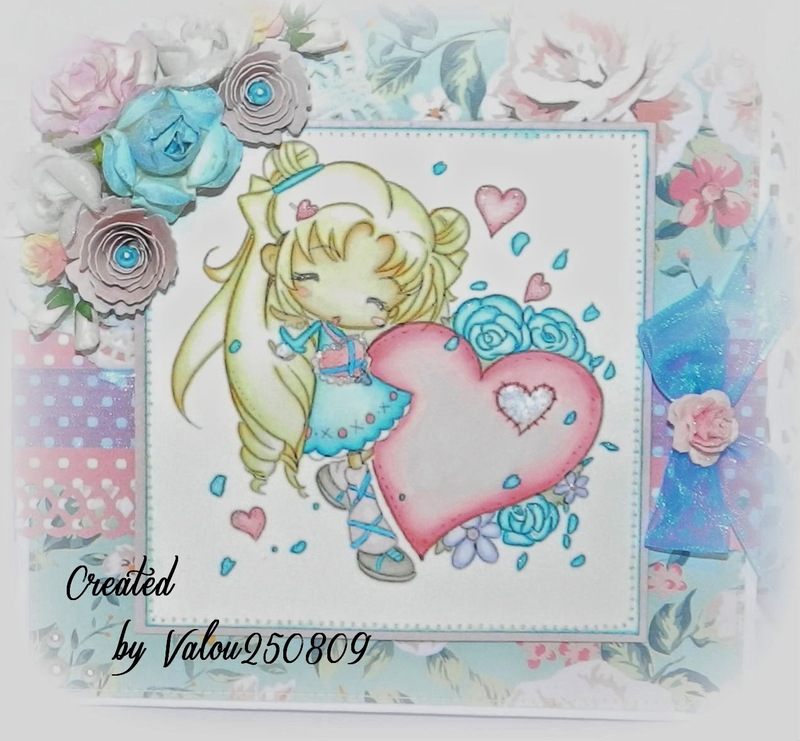 Lulupu - The Craft Lounge: Pastel Feminine card with colouring! 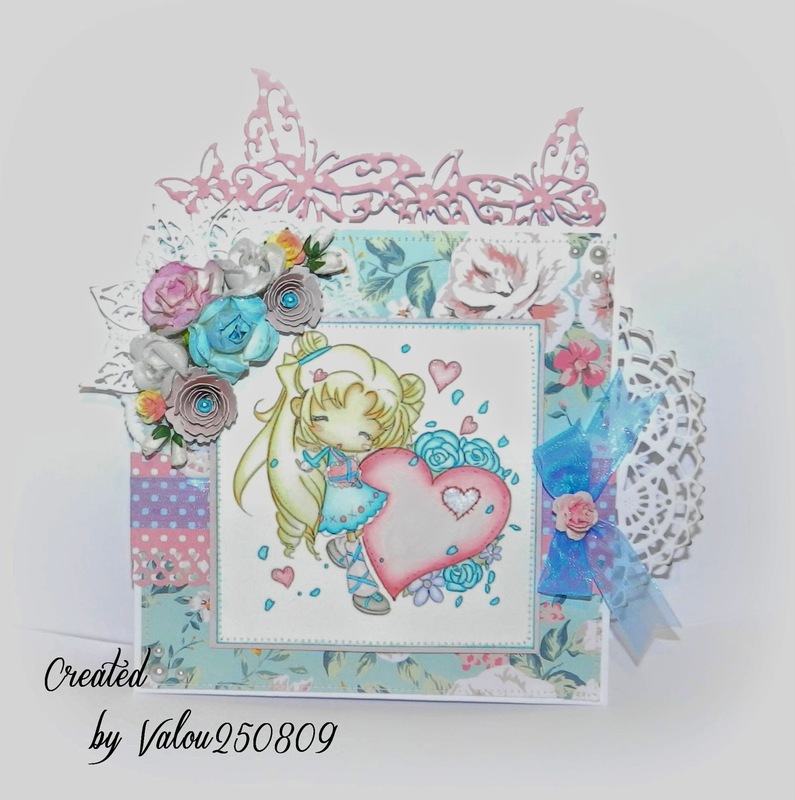 For this card, I used some flowery paper, some paper " white Bazzil Cardstock " and some paper " pink Bazzil Cardstock ". I have necks edges in the sewing machine. 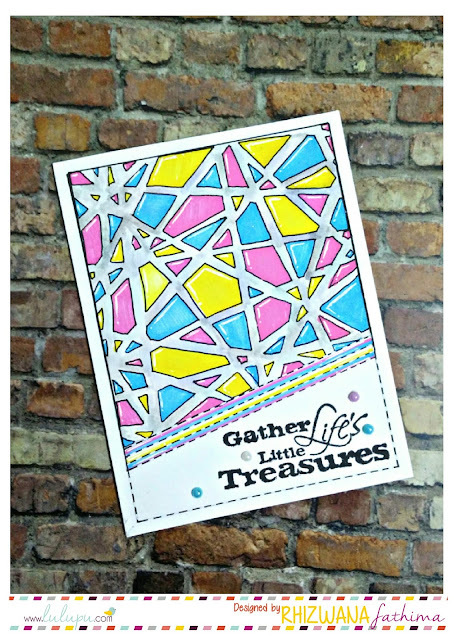 Under the image, I stuck a band of polka-dot pink paper which I drilled with a puncher border " Tonic Studio ". Above, I added some ribbon " blue Organza ". On the right-hand side of my card, I added a die-cut realized with "Cuttlebug" and a dies " Cherry Lynn Designs ". I inked it to the ink "Distress Walnut Stain". 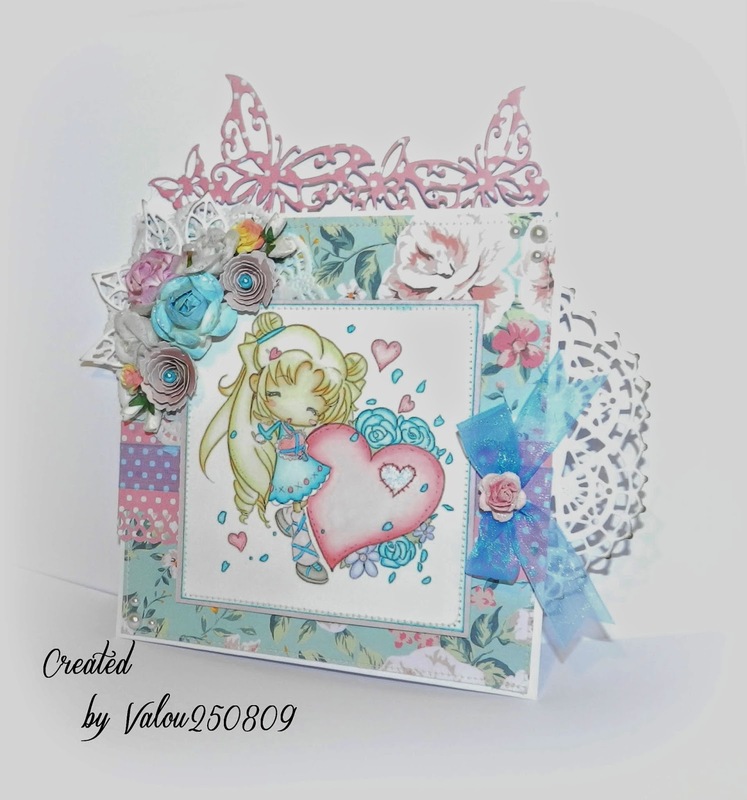 Then, on the top of my card, I added a border "Butterflies" realized with a dies " Joy! Craft ". I used an image "Star In My Pocket" whom you can find HERE. - Ink "Distress Antique Linen" and "Distress Tea Dye" for hair. - Ink " Distress Broken China. I inked the edges of my image with some ink "Distress Broken China" and I also sewed it to the sewing machine. 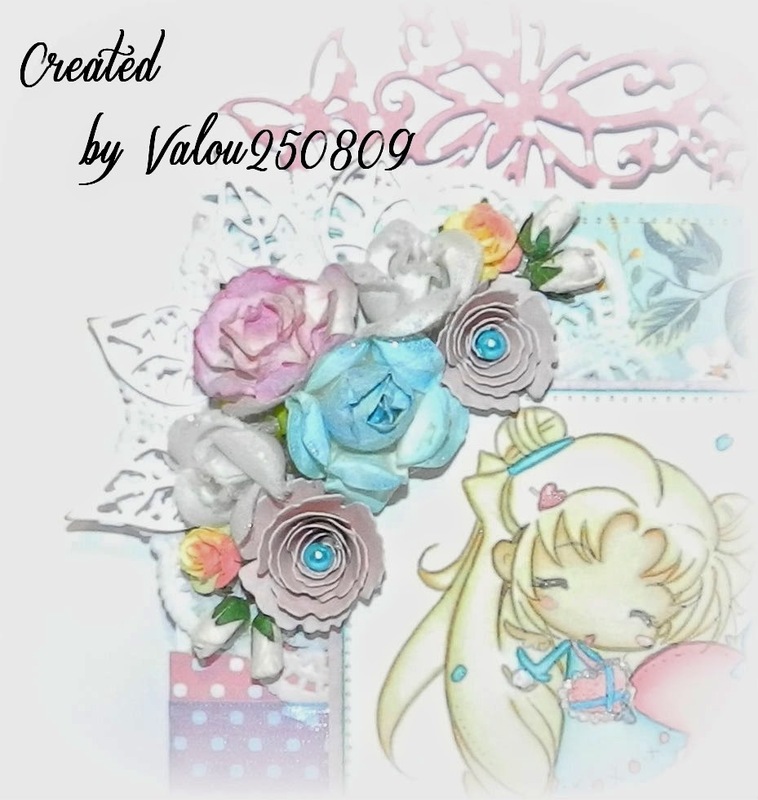 For the decoration, I added a big turquoise blue rose, a lilac rose (30 mm), two cloth white roses, two yellow and pink pink(rose) (10 mm) and buttons of white pink. I also added two flowers realized with dies two "Memory Box", "Scalloped Posie". In the center of each of these flowers, I stuck a small turquoise blue pearly pearl. All the flowers are covered with some touches of "Glitter Stickels Icicle".